Earlier this month, the RCPCH released their report on screen time for children and teens and as a parent and a parenting expert, I am thrilled with the report. I know what was reported on the news and the way it has been spun. However, if you take out the rhetoric of the media and really read the specifics, it is quite empowering. It is asking parents to use their judgement around 4 criteria and make a decision that best suits each individual child. Can you believe it? The RCPCH actually believes that all children, families and circumstances are not the same! Rather than being prescriptive and authoritarian, they are giving guidance and trusting in parents to be experts on their own children. The children using screens today are the first generation of digital natives. This means that parents of these children have to learn what their children innately understand. 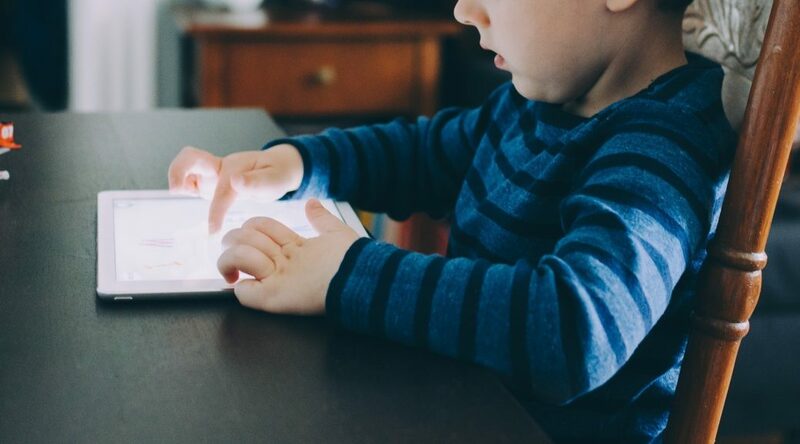 There has been growing concern amongst people in parenting communities in regards to screens (by this I mean the physical device) causing harm. As the type of screen we use today is relatively new, there was concern about everything from eyesight damage to causing obesity with regard to the impact. The RCPCH has said that as far as we are aware at this time, there is no scientific evidence that damage is done from the actual technology. This is not to say that the USE of screens does not act as a secondary cause. 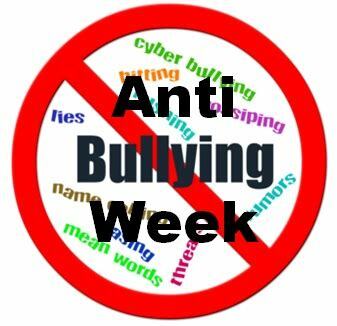 It is obvious that overuse can have negative effects on children and adults. However, it is the USE that is the issue, not the screen. 1. Is screen time in your house controlled? 2. Does screen time interfere with what your family wants to do? 3. Does screen time interfere with sleep? 4. Are you able to control snacking during screen use? This takes into account that for many families, gaming is a bonding activity. For some children, screen time is the way they are learning about their world. For some families, screens lead to unhealthy eating due to the lack of mindfulness around what they are eating and when they are full. You, parent, get to decide the answers. The RCPCH has continued to advocate to turn off screens an hour before bedtime. Even a small amount of sleep deprivation can have a negative impact on a child. Sleep needs to be prioritised. The body needs to find a natural rhythm to settle into the sleep cycle. This starts before we get into bed. Having a screen free, hour long bedtime routine is crucial for strong mental health. Parents are a child’s first and most important teacher. They are constantly watching you to help them define what life should look like. Do you prioritise screen time over face to face interaction? 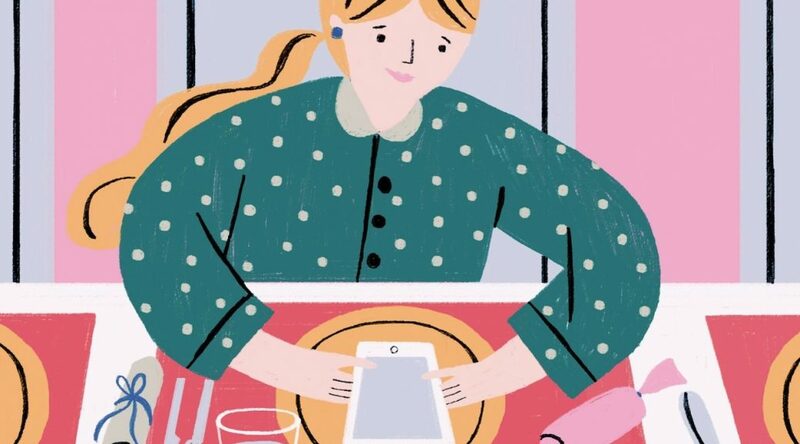 Are you on your phone whilst at the dinner table? Are you able to put down your device with ease or are you aggravated when transitioning to the real world? These questions are designed to bring an awareness to parents. Often, we fall into the traps that we see our children falling into. Make a point to show that you are putting tech away. If you need to change, do it as a family. Let them see that changing habits for the better is something that grown-ups do as well. This will have the most powerful impact on your family. I would like to take a moment and thank the RCPCH for giving power back to parents. We do not need to pass laws on this or shame for change or rely on an outside body to tell us what to do. We, as parents, have the ability to rely on our own judgement based on facts and guidance from experts to run our family as we see best. It is so nice to see responsibility for parenting being given back to parents. Scrabble, Monopoly and Trivial Pursuit – that’s what I wanted to buy my children this year. But in reality, their wish lists were more Apple stocklist than 1990s Argos catalogue. Many parents will now have shiny new devices wrapped and ready for kids to open on Tuesday. But buying an electronic device comes with a level of trepidation that ordering item 383/6754 on p854 never would. 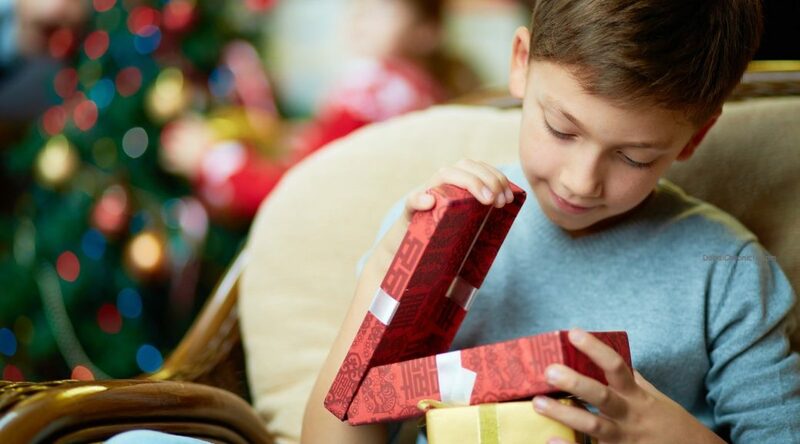 Perhaps it’s because, unlike the bicycle that might end up in the shed over winter, or this year’s wonder toy, which will probably run out of appeal (and batteries) by Easter, the screens we give our kids at Christmas are likely to have more profound and far-reaching effects. Games consoles, iPads and smartphones can end up encroaching on so many other elements of children’s lives – schoolwork, family time and sleep included. But most worrying, perhaps, is the power they can also wield over their mental well-being. It’s an issue that’s been on my mind of late, as my daughter recently entered her last year of primary school, which according to the national norms means she has come of smartphone age. (Although this festive season – thanks to the majority of parents in my daughter’s class making a pact not to give our pre-teens phones until the end of the school year – it’s one device that’s been off the agenda.) 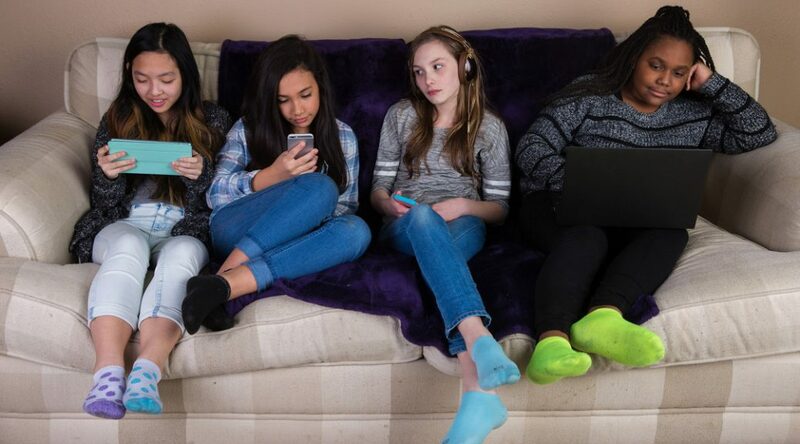 Countless recent studies have linked the rise of smartphones and social-media usage with anxiety and depression in tweens and teens, the rates of which have skyrocketed recently. It’s something that mental-health charity Young Minds, one of the causes chosen for this year’s Telegraph Christmas appeal, is working hard to understand. Many factors are at play when it comes to young people’s well-being, says Emma Thomas, the charity’s CEO, but the rise in social media is not to be ignored. And it’s not only children whose mental state tips over the diagnosable line about whom we need to worry. It’s all those who are just missing that little spark of happiness, too. Just a few weeks ago, England’s Children’s Commissioner, Anne Longfield, addressed the Commons and spoke of the ‘avalanche of pressure’ children and teenagers feel under to be popular and successful on social media. And a recent groundbreaking study by the University of Sheffield found increased social-media usage causes lower happiness levels in children. ‘We found that as the time spent chatting on a social network increased, there was a comparable reduction in happiness reported across several different areas of young people’s lives, which included their appearance, their family, their school and also their life overall,’ explains the study’s lead author, childhood psychologist Dr Philip Powell. ‘My top tip if you’re a parent giving a phone or device for the first time is that it should be switched off in the evening and charged downstairs, not in bedrooms,’ says Sarah Berman, an ambassador for CEOP (the Government’s Child Exploitation and Online Protection agency) and a trainer at Young Minds. Lack of sleep has a big impact on well-being and physically switching off also gives teens and tweens the psychological switch-off they need. ‘There has to be somewhere that feels safe and private,’ says Prof Sonia Livingstone, a social psychologist at LSE, who has advised the Government on digital safety. Research also shows that blue light affects sleep, so turn off 30-60 minutes before lights out. From sexting to FOMO, it’s good to talk. Being honest about our own feelings, says Berman, helps children open up about theirs, and being non-judgemental and supportive is key. Janis-Norton’s advice? Be proactive rather than reactive: bust the myths of Instagram perfection before they sign up, talk about sexting before they have a serious boyfriend or girlfriend and discuss FOMO before they hit the peak socialising years. ‘Ask, “If you saw pictures of your friends on Instagram at a party you didn’t know was happening, what would that feel like?”’ It won’t make them immune to feeling left out, but it will create better coping mechanisms when those feelings do occur – and make it more likely that they’ll turn to you if they find themselves in trouble. ‘Research has found that teens who have a more satisfactory relationship with their parents are less susceptible to FOMO,’ says Janis- Norton. Should you follow your kids on social media and check their phones? ‘Lots of kids feel comforted by that,’ says Prof Livingstone. But going undercover, she believes, is a big no. ‘The whole principle of the parent-child relationship is trust, so snooping can do much more damage than good,’ she says. ‘They could end up creating secret accounts, change passwords or get a second phone.’ If you have serious concerns, ask for access. As well as everyday worrying, those suffering with anxiety and can often come across restless and nervous and find it hard to concentrate. It can lead to your child becoming tired easily but having trouble sleeping well. If you believe that your child might be struggling with their mental health, your GP should be your first point of call. It can feel like we have created a problem for our children and for ourselves when we introduce new tech to them. We know that screen time should be limited, but we also know that tech is a part of their world and we want them to learn to use and enjoy it in a healthy way. Here are a few tips and tricks to help both of you enjoy the gift of tech. When kids get something new and exciting, their minds are not receptive to learning boundaries and responsibility. It’s important for parents to have reasonable expectations. After all, you spent all that money so they could feel excited about getting the tech they wanted. If children feel ripped out of that excitement, they may build resentment. Giving them some time to play and explore lets that excitement level peak and then begin to subside. Set a timer for when you plan to have the responsibility talk. This may be an hour or at midday. Either way, let your child know that a time is coming to talk about what expectations you have around enjoying tech at appropriate times and how they will be expected to manage their time. Give a 5 and 1 minute warning to help them reach a save point and come out of their tech trance. Don’t wing it. You need to make sure you and your child know what to expect and what the rules or boundaries are. Write a contact/agreement together which can be signed. This way, you can refer to the contract later should there be any disagreements around turning in phones at night or playing past a certain time. It should include what, where, when, how and who. This conversation is the perfect opportunity to use descriptive praise. Let your children know how proud they should feel that they are now responsible enough to manage their new tech. If it is a phone, help them understand the responsibility around sharing information with their friends. Let this be a positive experience. 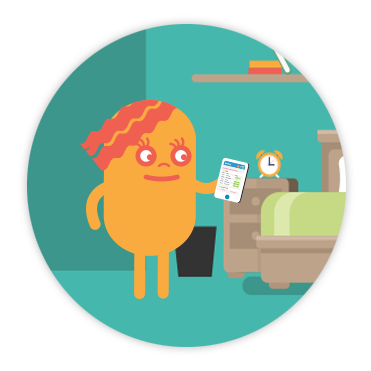 There are many parental awareness apps out there that are amazing for keeping kids safe. However, don’t spy on your kids. Be honest with them. If you have apps on there that track their use, let them know. You are checking their usage so that they can be safe, not to catch them in the act. Let them know that as they get older, you will ease off slowly. I like to use the metaphor of the L plates for learner drivers. Tech should be managed through communication and connection not control and secrecy. Tech use, like many other aspects of growing up, needs revisiting and revising as children mature. Nothing is written in stone. If your child needs more responsibility, ease off a bit. If they need more structure, provide it. If they want to add a new social media app, discuss if this is appropriate and how it should be managed. If you notice something, name it and discuss it. This way, you are constantly emphasising responsibility and communication. When you emphasise the values you want to see, your children will rise to the occasion. All parents know that dreaded feeling when kids are stuck inside due to rainy weather. Or when it’s the school holidays and there is nothing planned. When they start to get cabin fever, it’s easy to let them hop on a device for entertainment, but what you really want is to keep them active and engaged, not zoned out. If you feel like you’re in a rainy-day rut, these online activities are sure to help you break out of it. These ideas get kids wiggling, creating, and having lots of fun all while learning at the same time. 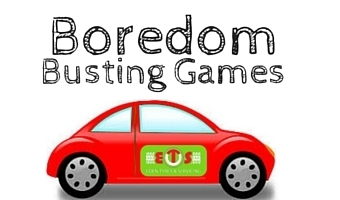 When kids are bored, they usually just need some inspiration to spark their imagination. Break out the art supplies and use the internet as a source of inspiration for new ways of creating. The Artful Parent helps you take art to another level, from lessons on technique to drawing prompts and activity sheets. Another great way to get their creative juices flowing that’s interactive is to play a drawing game. Art games are perfect for engaging multiple children, and they encourage bonding when mom and dad join in. For kids who want to explore different forms of art, art history, and art from around the world, check out the resources at Incredible Art. One of the most difficult things about rainy days is getting kids to be active without running wild in the house. Online videos are the ideal solution to get kids off the couch and moving. Try an exercise video to build strength and balance while getting their energy out. Or your kids can groove to a variety of dance instruction videos, including classics like ballet and tap, along with some different ideas like hip hop or cultural dances from around the world. Another fun option is to combine movement and music with imagination, all wrapped into one activity. That’s what Let’s Play Music does with classical music that’s perfect for fairy dancing (complete with dress-up costumes, of course!). This unique idea exposes kids to classical music, helping them develop an appreciation for it early by bringing it to life in your living room. You can also use the internet as a resource for free music lessons where kids can learn about rhythm and pitch and even learn to play an instrument. When kids want to do something fun and exciting, and you want them to do something educational, you can’t go wrong with a science activity. Set up your own science experiment, such as making a glass of “lava” from Earth Science Jr. These activities are easy to do with ingredients you probably already have in your kitchen, and they’re perfect for fostering an interest in science. Another idea for older kids is to use a rainy day as an opportunity to study weather. These Weather Watch activities from Scholastic walk you through weather tracking using the steps of the scientific method. What kids may not know (it can be our secret!) is that these activities are as educational as they are fun. We sometimes think of screen time as being just TV shows or video games, but when you think outside the box, screen time can be a way to jump-start new ideas and exploration. Try these online tools the next time you need to shake things up. The screaming behind the door was frightening. Turned out the kids were just playing a game, shouting down the microphone excitedly to other online players. It went on for hours. The game was, I discovered, Fortnite Battle Royale, a free survival war game that had recently come out, and is now probably the most popular video game in the world. Anyone with boys aged between around twelve and seventeen may too be despairing at how Fortnite has invaded their lives overnight, creating moody or zombie-like teens. Gamers are greeted with a rush of dopamine when they play, especially in the teenage years. The release of dopamine prompts the brain to crave more, thereby turning them into potential addicts. The new game by Epic was launched as a standalone title, separate from the original Fortnite, which first came out last July. While the original cost money and was only available on PC, this later version is free and is available also on Xbox and PlayStation — hence the surge in popularity. Its overall player base has reportedly passed 45 million and that was before its recent launch in China. It is continuing to grow in popularity as developers introduce new content to the game including weapons, map locations and cosmetic items to keep players continuously interested, or rather, addicted. This month Epic introduced Fortnite Season 4, its Twitter feed enticing gamers with the slogan “Brace for Impact”. Following its release, Immanuel College deputy head Beth Kerr, wrote to parents offering advice on how to handle the game. She listed some of the some of the symptoms for parents to look out for, that indicated “a less than healthy relationship with gaming”. Persistent fatigue due to lack of sleep. Vecht believes that as parents we have a “fundamental responsibility” to understand and monitor our children’s behaviour online. That means teaching them how to “self-regulate” throughout their lives. “The best way to achieve this is through communication and connection rather than coercion and control. Jamie Rubin, a mother of three, is talking to educators and parents about ways to build children’s “digital resilience”. She is working on devising a cross communal plan — through a guidebook — for those kids, like her youngest child Eden, who will be starting secondary school in September. “It is not just about educating children,” says Rubin. “It is well worth the investment for parents to learn more about the issues related to technology and screen time. If many parents were on the same page it would really help with the battle screen addictions, social media, iphones, gaming etc. 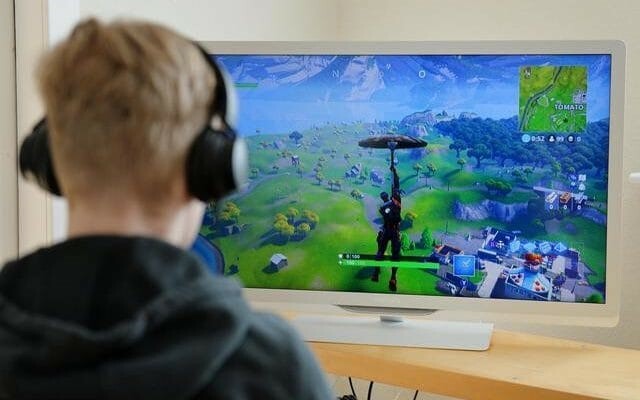 Help, my son’s addicted to Fortnite! Ever since my 13-year-old son Alex began playing Fortnite, he has been stuck in his room for what feels like the best part of one. The other night, I caught him smuggling in a takeaway; the prospect of breaking away from the tactical survival game, which he plays online with hundreds of strangers for hours on end, just to have dinner with his family, was unthinkable. At weekends, with his sound-proof headphones on, he can stay in his bedroom all day, excitedly shouting instructions into the microphone. When he emerges – usually around midday, having played into the night – he’s like a zombie. If he had his own way, he would be on the game for at least ten hours a day, stopping just for toilet breaks. Welcome to my new world. I kick myself for ever letting him talk me into buying him a PlayStation PS4; Fortnite is available as a free download, hence its world-dominating popularity: “But it’s actually good,” he insists, “because it teaches you to be strategic.” I just want him to be strategic at doing homework. Having started to mature into a diligent, ambitious child, Alex has turned overnight into the teenager I always dreaded bringing up. My son, I learnt last week, is a “gamer”. I should be grateful he’s not roaming the streets at night with his friends, and that his zombiefication is happening somewhere I can keep watch. But his addiction to this one, all-consuming game fills me with horror. I fear he will soon claim squatters rights, saying he is entitled to play Fortnite whenever, forever. 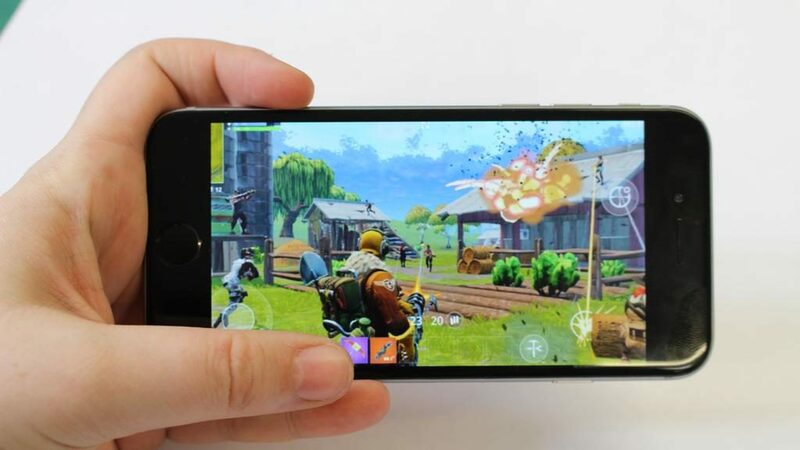 I have sought professional advice; Rachel Vecht, from Educating Matters (educatingmatters.co.uk), which offers parenting seminars in the home, tells me one of the most commonly asked question by parents in how to police a child’s screen-time – on their smartphone or at the gaming console. “For most kids, banning screens altogether, or sleeping with the router under your pillow, is not the answer, just as I don’t recommend parents ban chocolates and sweets altogether. Kids tend to crave what they can’t have.” Besides, there will always be some new game or social media app that kids can become obsessed with. Before Fortnite, there was Minecraft and Pokemon Go. At Vecht’s suggestion, I am implementing some new house rules. Screentime (TV and phone) will be limited during holidays to four hours per day, no more than two hours in one go, and with an hour’s break in between. Playing stops one hour before bedtime, so Alex can “unwind”. On school nights, it’s half an hour on the phone, and just one hour on the PlayStation, and not unless all homework is complete. If this doesn’t work, then, after a warning, I will confiscate the screen from his bedroom. If that doesn’t work, I will get rid of the console. Assuming you don’t want your children on screens the whole time (especially over the school holidays), the reality is they may need some ideas of what to do instead. Ironically (despite trying to encourage our kids off screens) there is endless inspiration online for what children can do when they are not on screens. 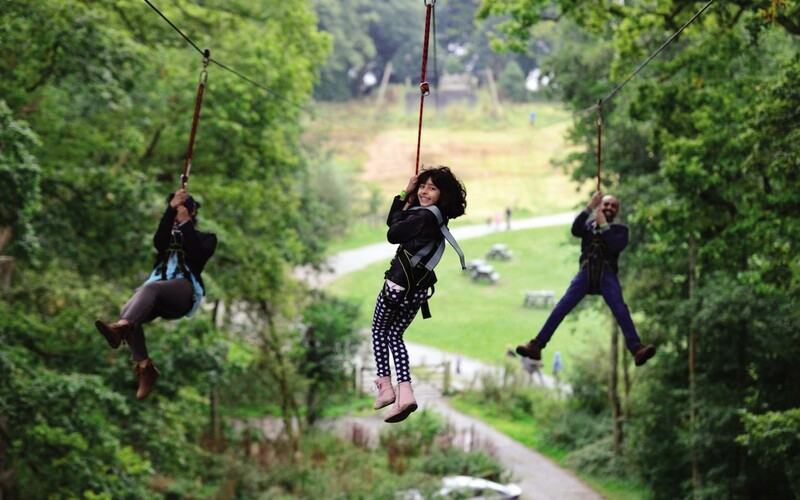 The team at ‘Habyts’ have put together a whole section of fun things children can do. Very helpfully it is categorised by age group, activity type, length of time and whether the children are playing independently or with an adult. They have really thought of everything!!! I am very excited to share with you news of a great screen time solution that came onto the market towards the end of last year. The founders are parents to 3 boys and struggled greatly with making screen time work in their own family. They did not feel that any of the vast myriad of apps and controls on the market fully provided what they needed to manage screens so they worked extremely hard to come up with a solution. ‘Habyts’ is simple to set up, easy to use, works on multiple devices, has separate study and playtime modes, helps with chore management, motivates kids with rewards and provides reports for parents on your child’s activity.